South Shores Shangri-La Lanier, Best Location on Lanier. Minutes to Everything! Property 1: South Shores Shangri-La Lanier, Best Location on Lanier. Minutes to Everything! Property 5: On Lake W Dock, Deck, Pool Table & Bar! Close To Pelican Pete's! Property 8: Deep Water, South Lake, Steps to the Water, Great View, Pets Ok! 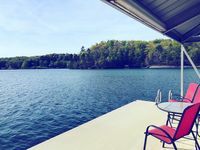 Property 18: Unique Lake Lanier Cottage ~ On Super Deep Water Near North GA Mountains!! The Best Place To Relax, Regenerate, And Connect With Nature! Property 22: The Best Place To Relax, Regenerate, And Connect With Nature! Quaint Wooded Lakehouse w/Dock! 2 King Beds! Great for Families! Screened Porch! Property 24: Quaint Wooded Lakehouse w/Dock! 2 King Beds! Great for Families! Screened Porch! Property 26: Private dock and Lake access. all bedrooms have lake view. Property 28: Stunning Family House - 30 Min from Dwtn Atlanta! Property 31: Thompson Lake House! Secluded guest suite-just minutes to dntn Alpharetta/400/Windward. Property 32: Secluded guest suite-just minutes to dntn Alpharetta/400/Windward. Property 41: Spacious 6-bedroom house with HUGE great room and lots of space to roam! Property 45: Private Retreat? Group Getaway/Event? Near Everything? ULTRA-Nature? ...YES!!!!! Property 46: Lake House with Dock on Lake Lanier near N. GA Mountains - Lots to do! Property 47: Lake Lanier Home w/ Dock, Boat Parking, & Grill! Property 50: Booking Summer Now-Double Dock-Flat Grassy Lot! All the vacation rentals available direct from owner around the world. 5 start experience with the Smith family. House was gorgeous and we really enjoyed meeting Haywood. She had us all laughing and now dying to read her books.